You have to sing that title along with the tune “Walk like an Egyptian”, then it becomes a bit more funny or corny perhaps. 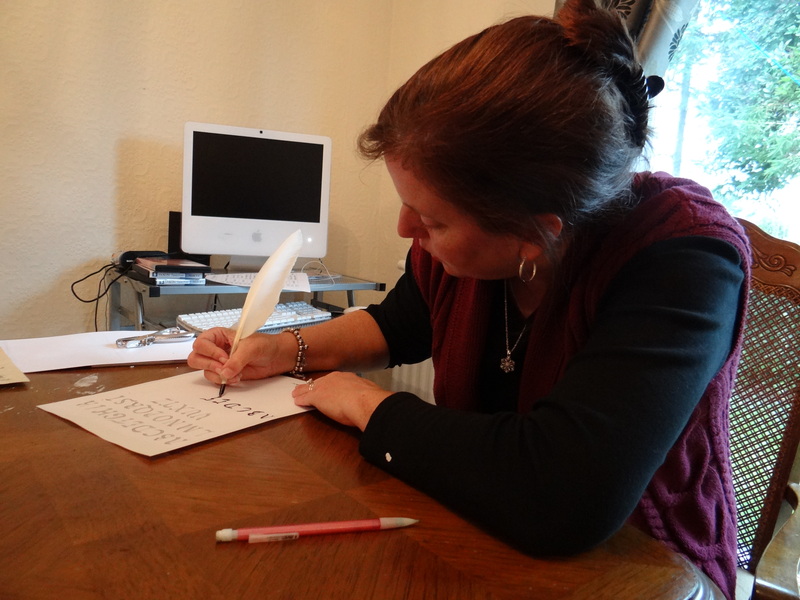 Last week after we saw the Lindisfarne Gospels we spent a morning trying to see what it was like to write something of that magnitude with a quill pen. 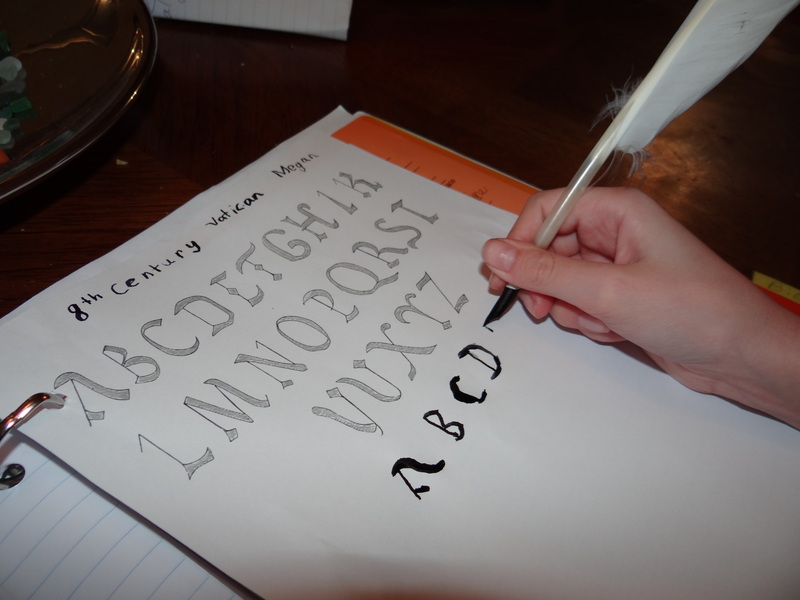 We studied the lettering of their day and decided to try to copy and 8th century Vatican font. 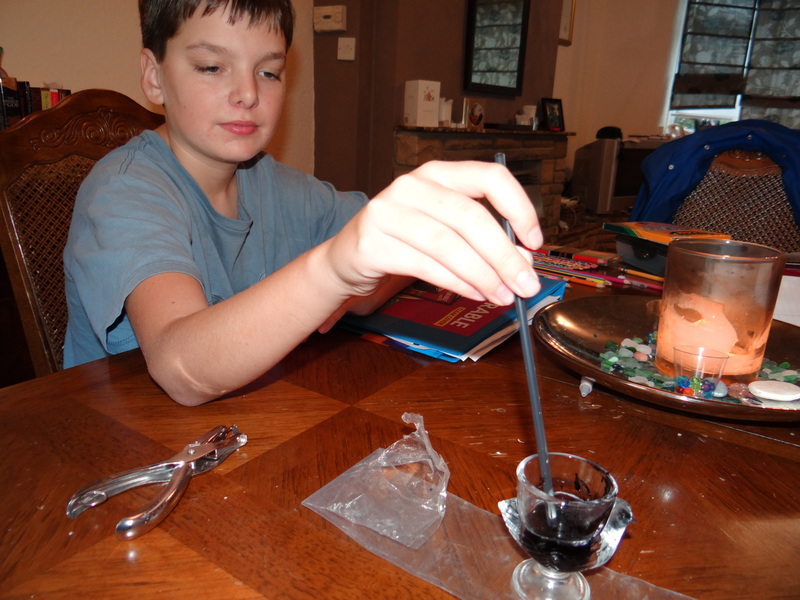 A few years ago we had purchased a quill pen and ink powder and I packed it hoping we would get an opportunity to use it this year. The kids mixed up the ink and we began. 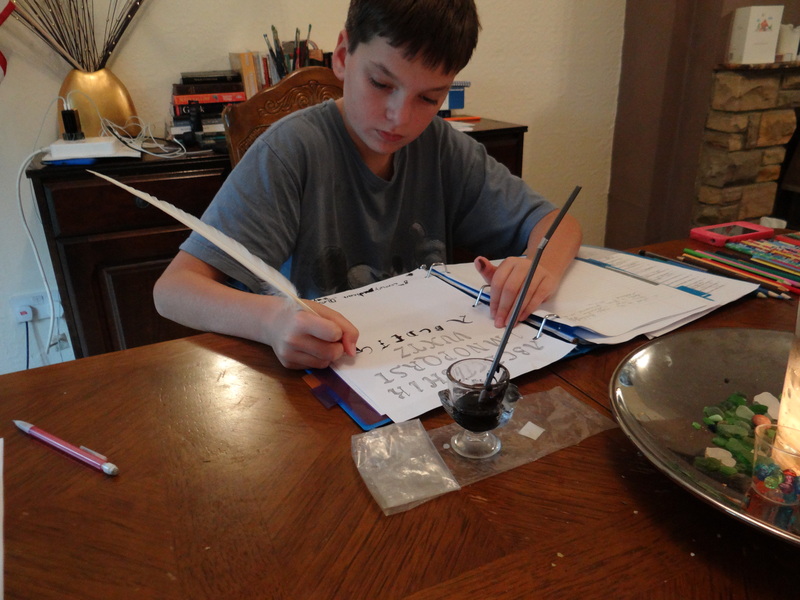 We found it to be easier in some ways than we imagined but hard to control the amount of ink. We light our “light of learning” each morning. 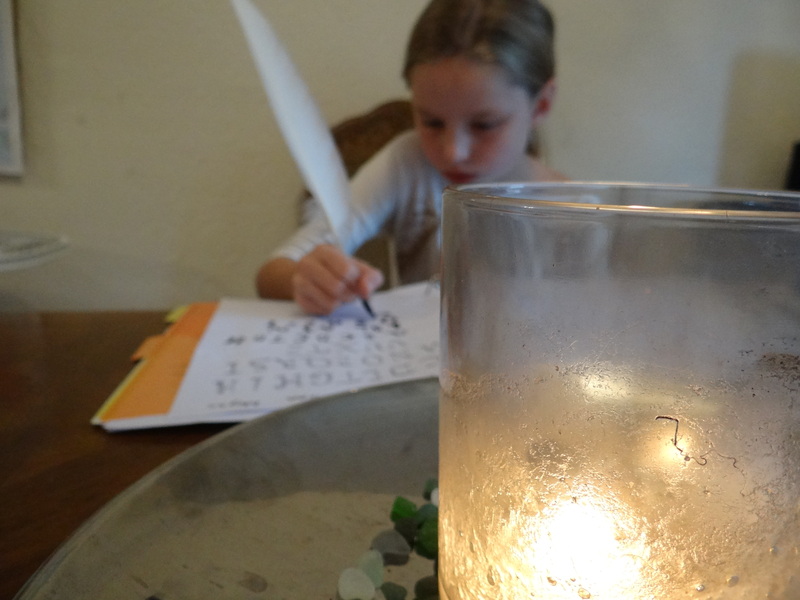 We can’t imagine writing only by candlelight with a quill pen. The font we chose was considerably easier than the decorative font in the gospel book we saw. It would take many many years of practice to develop such perfect penmanship. History comes alive when you can feel, see, touch and smell it. A true test would be to write like this again in the Monk’s cloisters library at the cathedral….in the cold of winter……by candle.